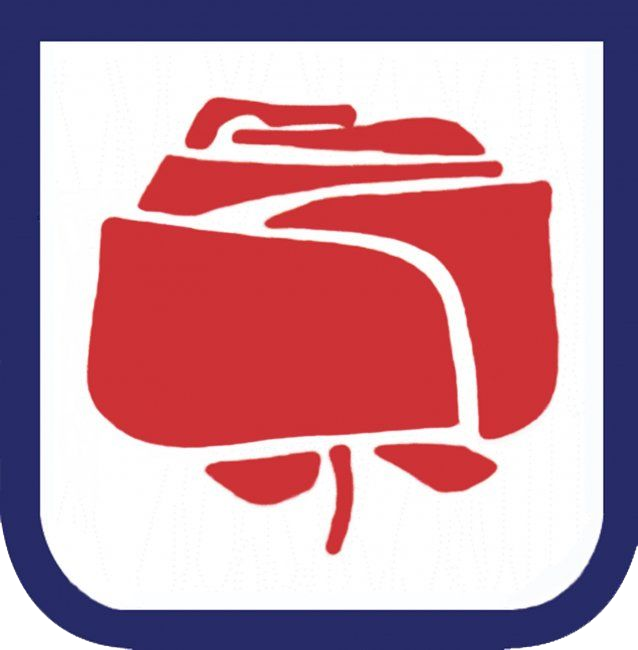 Gorizia (Municipality Gorizia) in Italy. 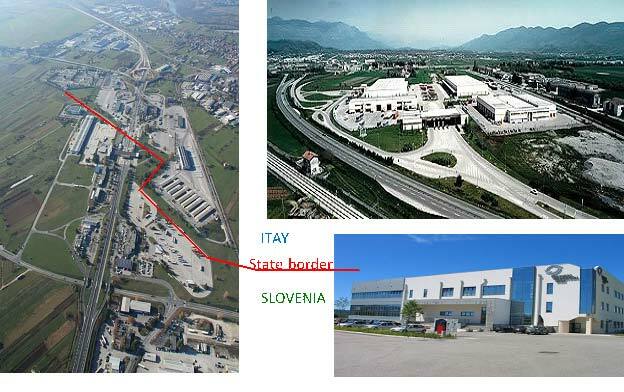 Until the entry of Slovenia into the European Union (year 2004) were in the area carried out all the services that were needed for crossing the border from both states. 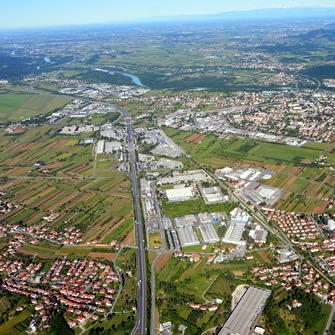 The home territory of Multi-purpose logistic complex is located next to the motorway H4, which in Italy go next to the highway R16, on Slovenian side is connected to the A1 highway. 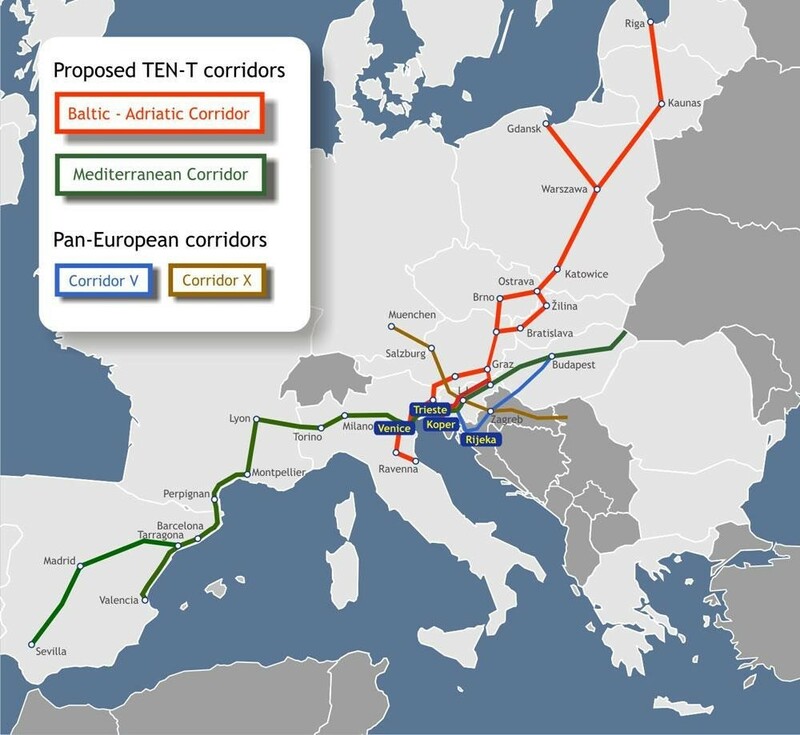 The area has in radius of 150km four northern Adriatic ports (Venice and Trieste in Italy, Koper in Slovenia and Rijeka in Croatia) which are united in the NAPA (http://www.portsofnapa.com/). 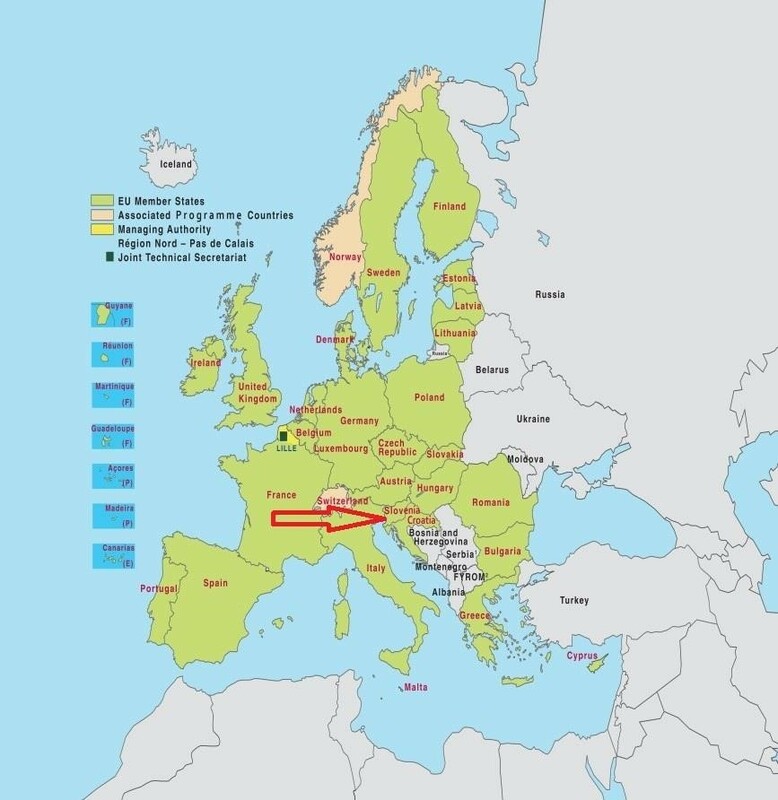 There are also more international airports: two in Venice (Italy; http://www.veniceairport.it/ ), one in Trieste (Italy; http://www.aeroporto.fvg.it/), Airport of Jože Pučnik (Ljubljana – Slovenia; http://www.lju-airport.si/ ), Letališče Edvarda Rusjana (Maribor – Slovenia; http://www.maribor-airport.si/ ), Zagreb (Croatia; http://www.zagreb-airport.hr/), Vienna (Austria; http://www.viennaairport.com/ ), etc. countries (BiH, Serbia, Romania, Bulgaria, Poland, Spain, France, Turky, Russia, Ukraina, Slovakia, Cezch Republic, Hungary, Italy, Slovenia, Austria, Germany, Netherland, Scandinavian countires, etc.). This is the reason for the large flow of all types of transportation between states in the West and East and also North and South. 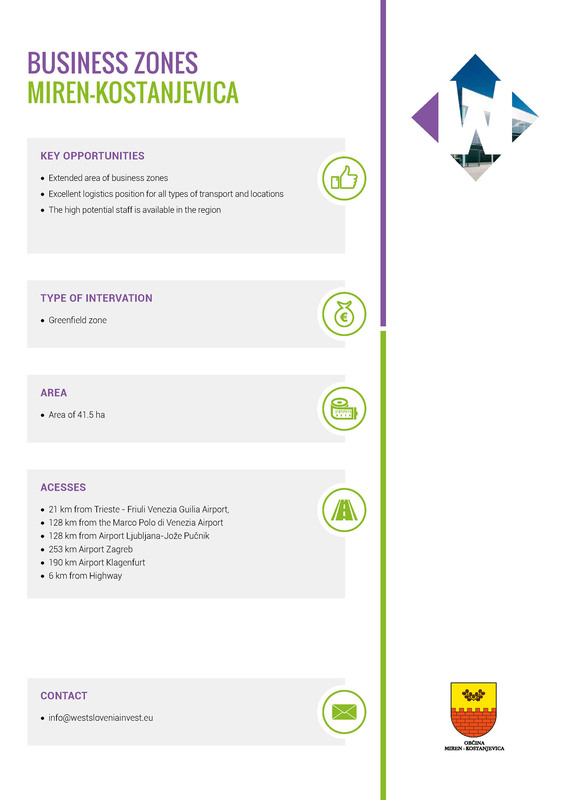 The most important is proximity to ports and airports, which represent a window to the World. Very important fact is that area has a high potential staff (several primary and secondary schools as well as universities). Training covers a very wide scope (technical professions, traffic education, language studies, etc.). 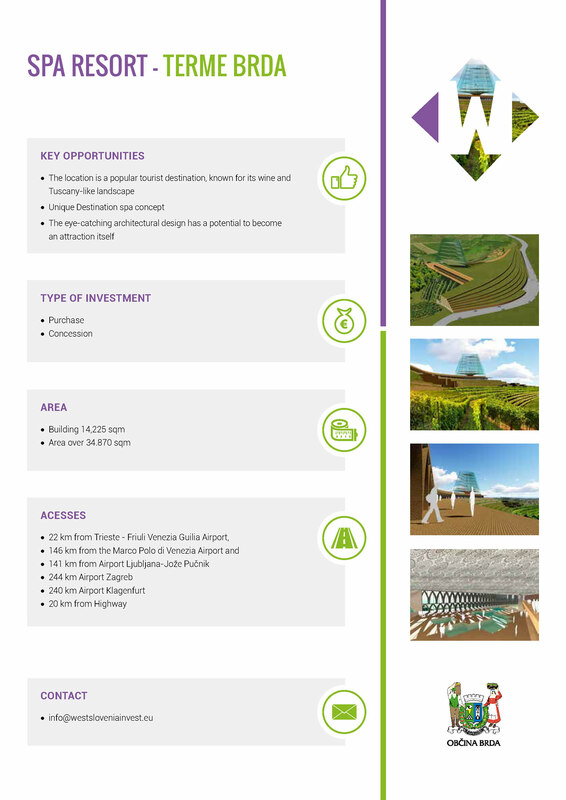 In the same time all investors have good chances to receive funding from European Union and create one of the most important Multi-purpose logistic complex in Europe. 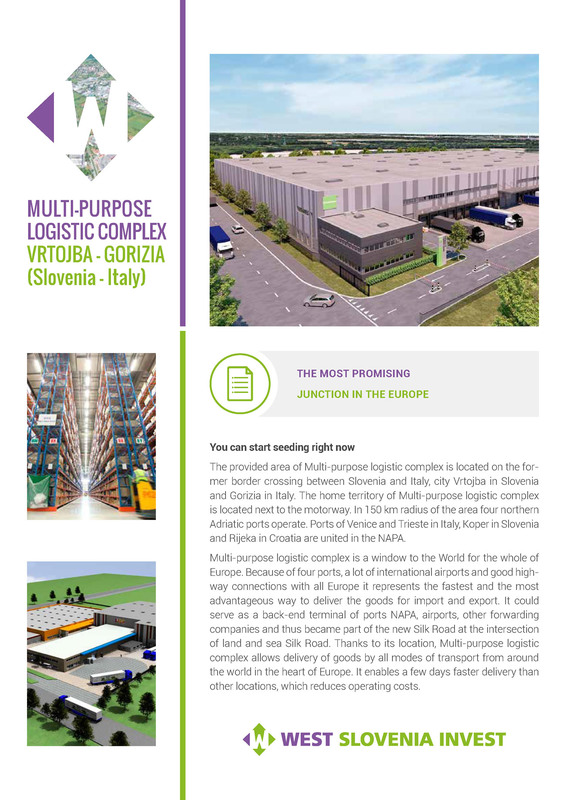 To sum: Multi-purpose logistic complex is a window to the World for the whole of Europe, as well as the fastest and the most advantageous way to deliver the goods for import and export, becauese of 4 ports, a lot of international airports and good highway conections with all Europe. 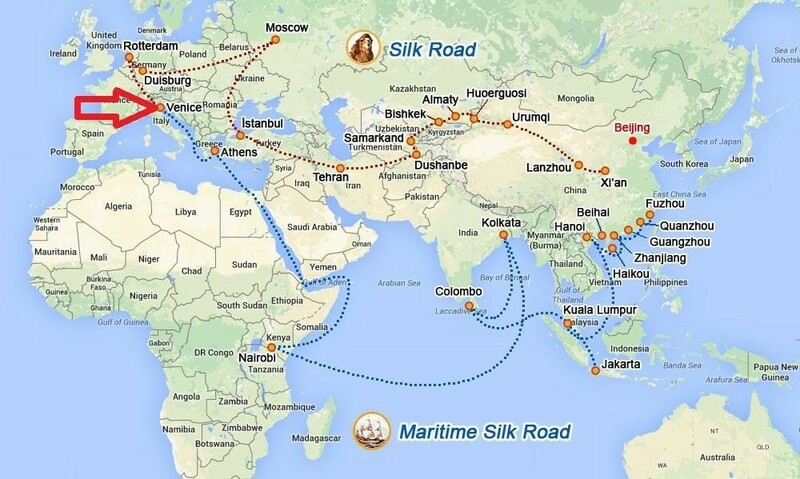 These means that it could serve as a back-end terminal of ports NAPA, airports, other forwarding companies and became part of the new Silk Road at the intersection of land and sea Silk road. 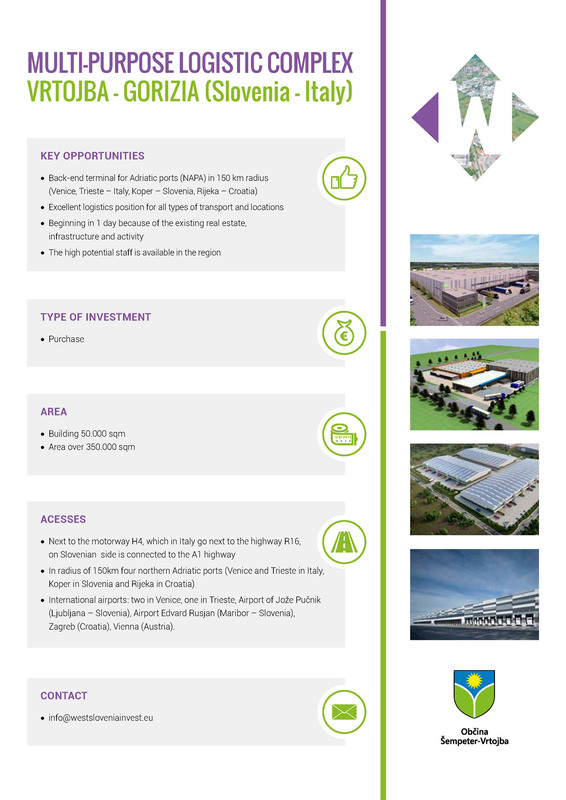 Multi-purpose logistic complex with location allows delivery of goods by all modes of transport from around the world in the heart of Europe. It enables a few days faster delivery than other ports, which shortens delivery time and reduces operating costs. Park Rafut was built in the first half of the 19th century over an area of 3 hectares, only half of which is considered Laščak’s work. 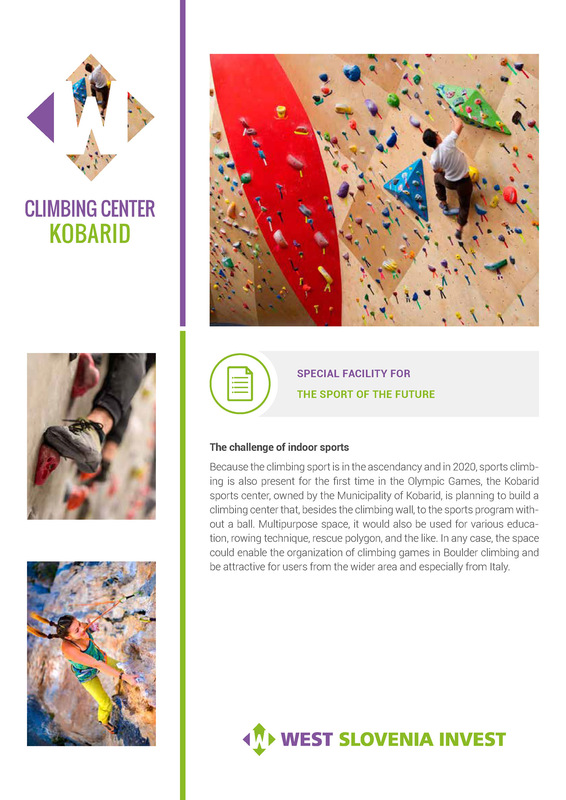 The park is located near the Slovenian-Italian Border, a few minutes from Nova Gorica in a peaceful suburb, under the Konstanjevica monastey with a gorgeous view of the castle in Italian Gorizia. 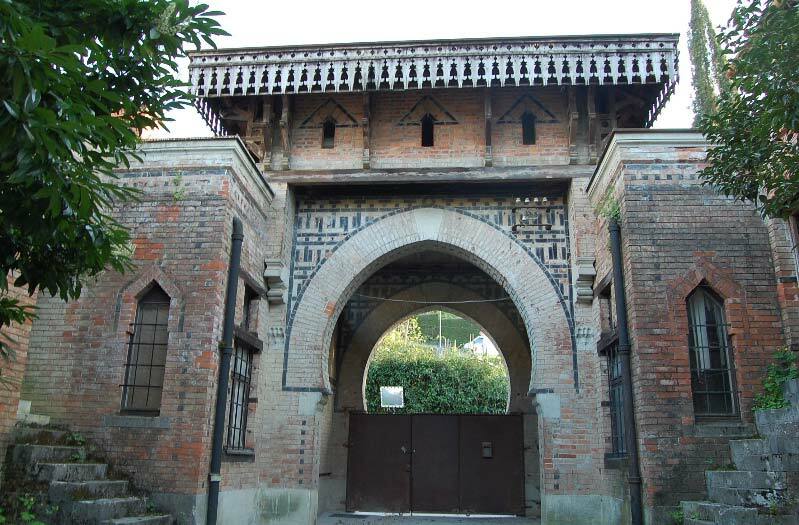 The Rafut estate consists of the Neoislamic villa Rafut and the exotic park surrounding it, both were designed in 1914 by the architect Antonio Laščak. Troughout the estate you can see the influence of oriental architecture, this is accounted to eclecticism and to the fact that the architect spent many years abroad, working in the Middle East. 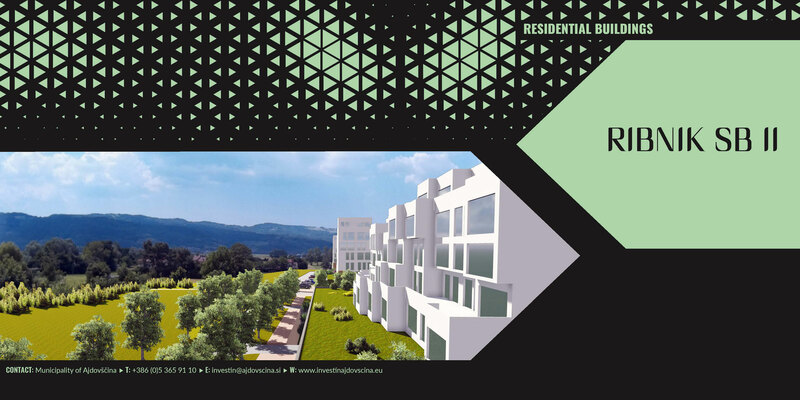 Type of heritage: landscape arhitecture heritage. Unit type: buldings with parks and gardens. The textual description of the unit: A villa, built in Islamic style with a symbolic minater and majectic entrance. Surrounded by a park, designed in the style from the beginning of the 20th century, using exotic plants, organic derivative planted asymmetricaly and orthogonaly. Architect A. Laščak. Dated units: the first quarter of the 20th century 1909-1914. Author: Antonio Laščak (architect 1909-1914). 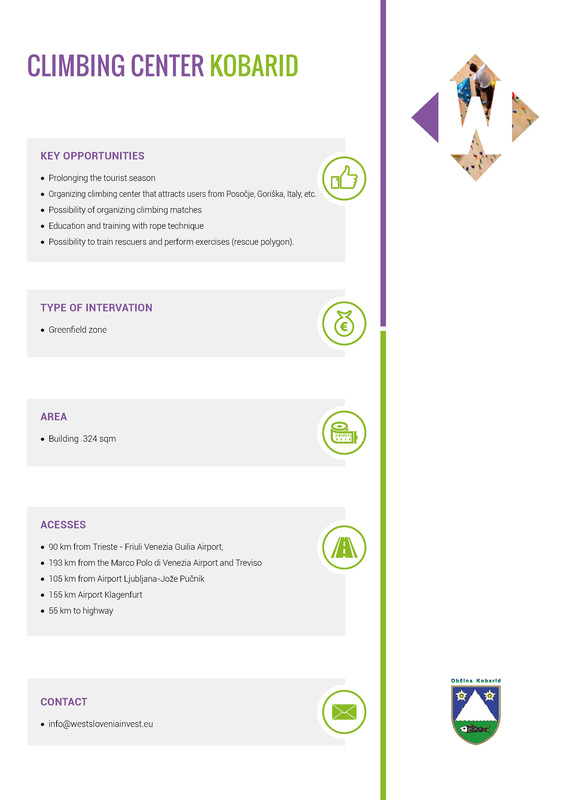 Protection guidelines: parks and gardens, bulding parks or gardens. 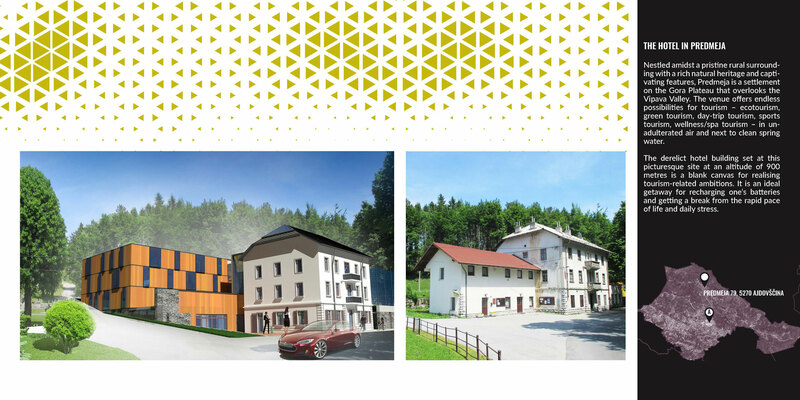 Location: Villa Park is located at Pristava between the city center and the Rožna Dolina below the hill Rafut. 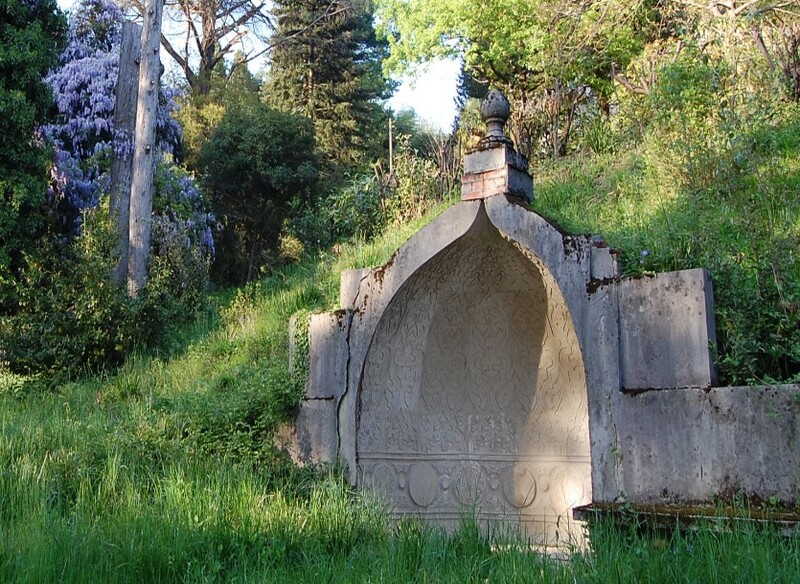 Type of monument: monument of local importance. Type of delivery: a permanent declaration of cancellation. Visitors enter the exotic ambient trought the porter – salamlik which is made in a neoislamic style. After passing the gatehouse visitors step on a path once surrounded by a twin tree avenue and continue up a winding walkway trough the park to the villa. The visitor can also chose to ascend to the villa via the stairs that run parallel to the walkway. When walking the stairs and interesting perception of space is created, due to the views and angles that are constantly changing because of Laščaks clever use of the slope of terain. 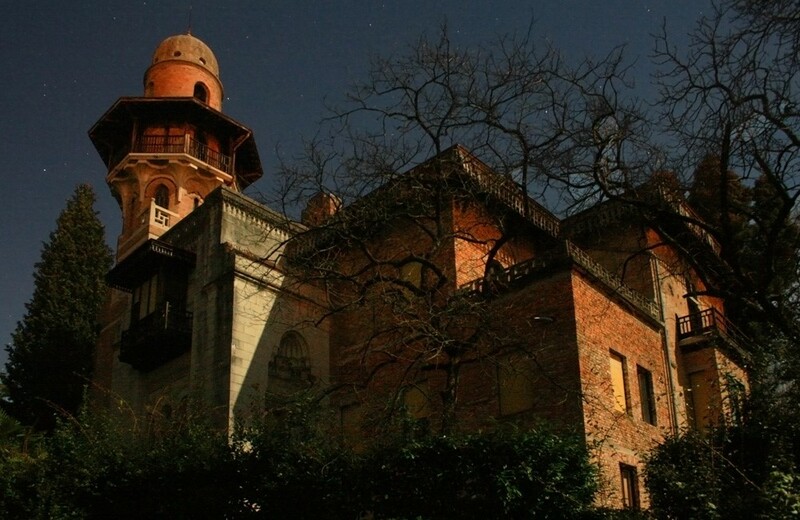 The villa was designed between years 1909 and 1914 with great care. The villa represents the only example of romantic historical residential architecture in Slovenia and greatly stands out from the parks vegetation because its walls are built from red bricks. An important element of the villa is the 23 meters high tower – minaret tipical for Indo-Muslim art. 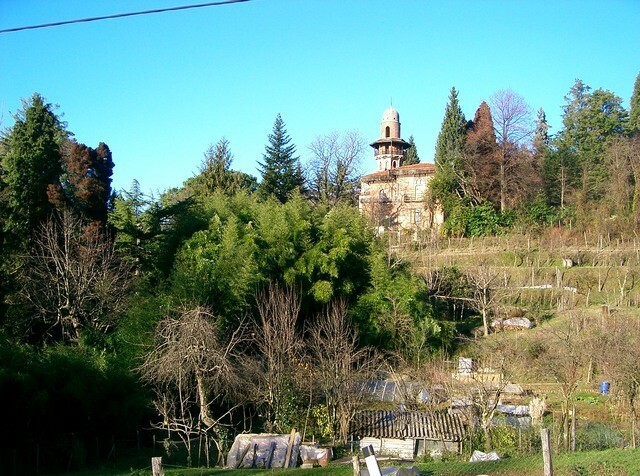 The villa and the park complement eachother which is tipical for 20th century architecture. Experts believe that the use of foreign elements in architecture, economic and cultural developement, industrial growth and with it a greater influx of goods are the circumstances which influenced the use of exotic plants. With this the Rafut park is extraordinary in it’s dendrological diversity. 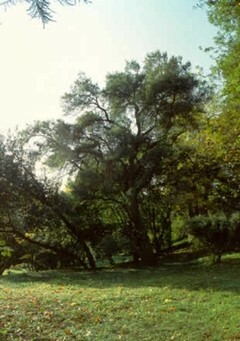 Among various species of plants some of the more precious are examples of cyprus, squoia, unique examples of camellia, cork-oak tree and camphor trees. The park contains some interesting elements, which represent frequently used features in landscape architectural art. At the center of the staircase we can see a resting place under a pergola. Two concrete benches provide for a place to rest in the shade of a pergola, entwined with a glycine rose which gives of a stunning smell during season. This is one of the two resting places in the park. The other being the mold used for the making of the tower dome, which Laščak then equipped with benches and placed in the park. 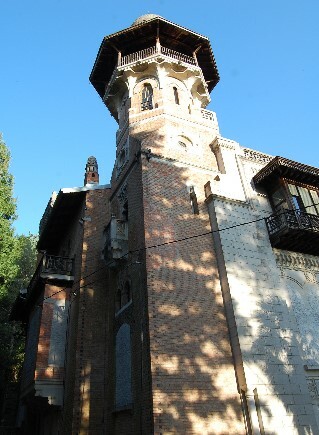 The park and villa are currently closed and in need of renovation. 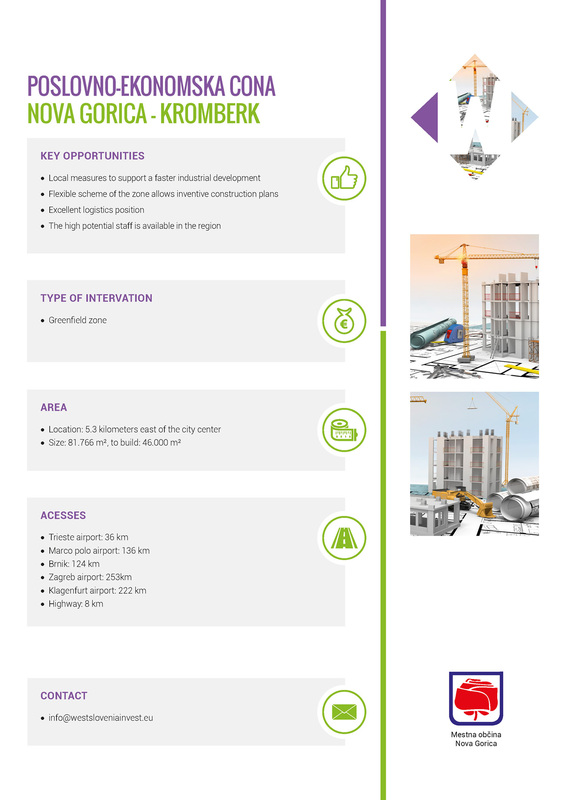 There needs to be a public-private partnership in the implementation of the project: “Renovation of Vila Rafut”. 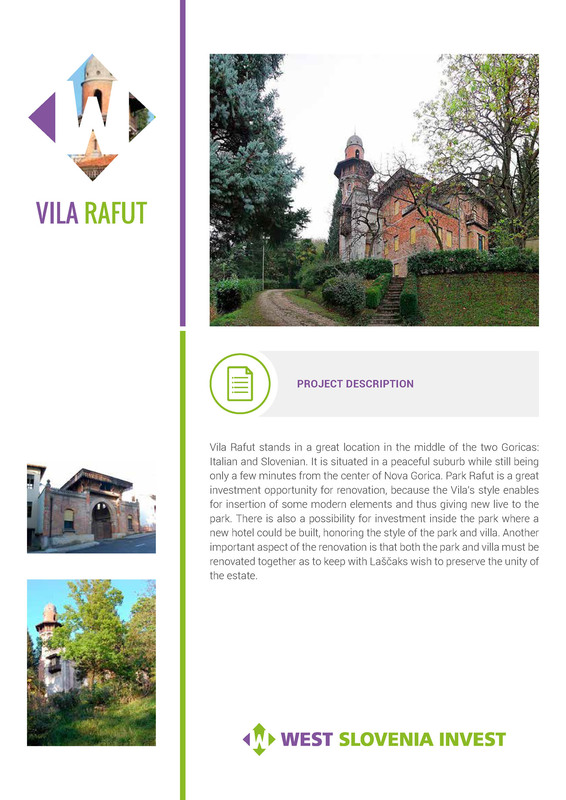 The project includes the reconstruction and organization of real estate withing Park Rafut villa. 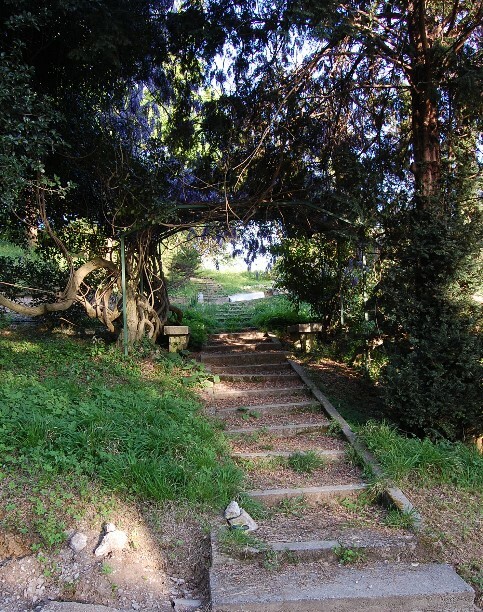 Park Rafut seeks a public-private partnership, where the Park and Vila need to be renovated together as a unit. 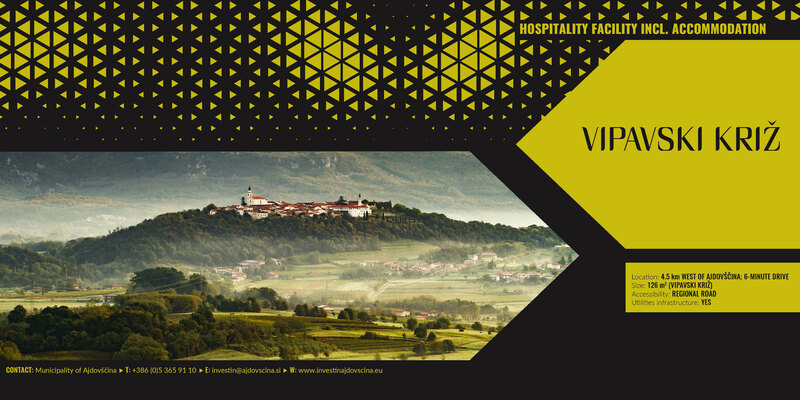 Vila Rafut stands in a great location in the middle of the two Goricas: Italian and Slovenian. 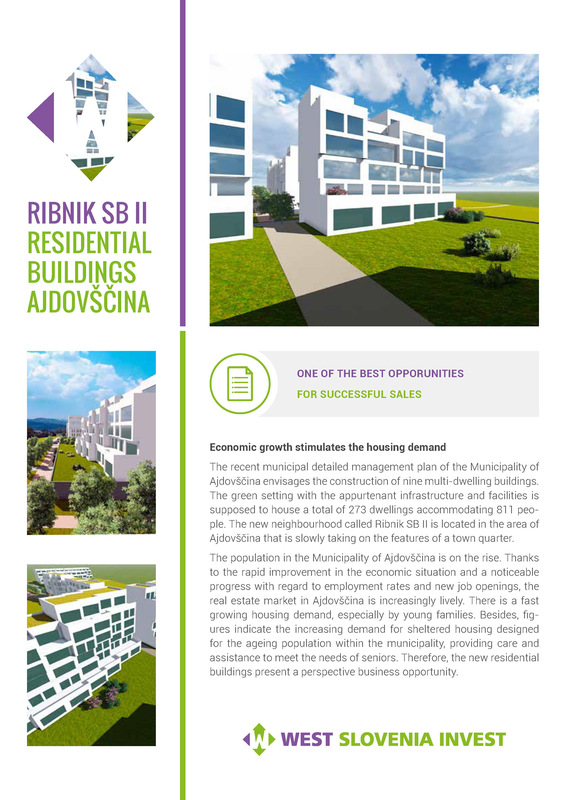 It is situated in a peaceful suburb while still being only a few minutes from the center of Nova Gorica. 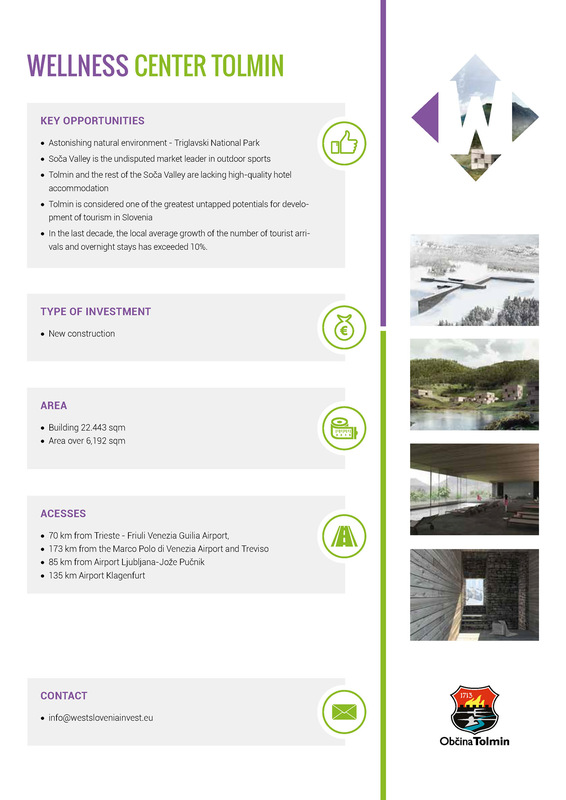 Park Rafut is a great investment opportunity for renovation, because the Vila’s style enables for insertion of some modern elements and thus giving new live to the park. 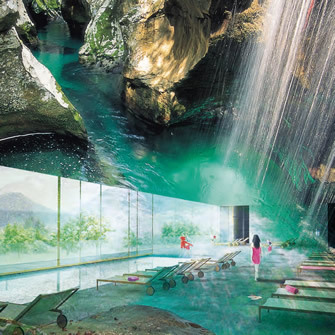 There is also a possibility for investment inside the park where a new hotel could be built, honoring the style of the park and villa. Another important aspect of the renovation is that both the park and villa must be renovated together as to keep with Laščaks wish to preserve the unity of the estate. 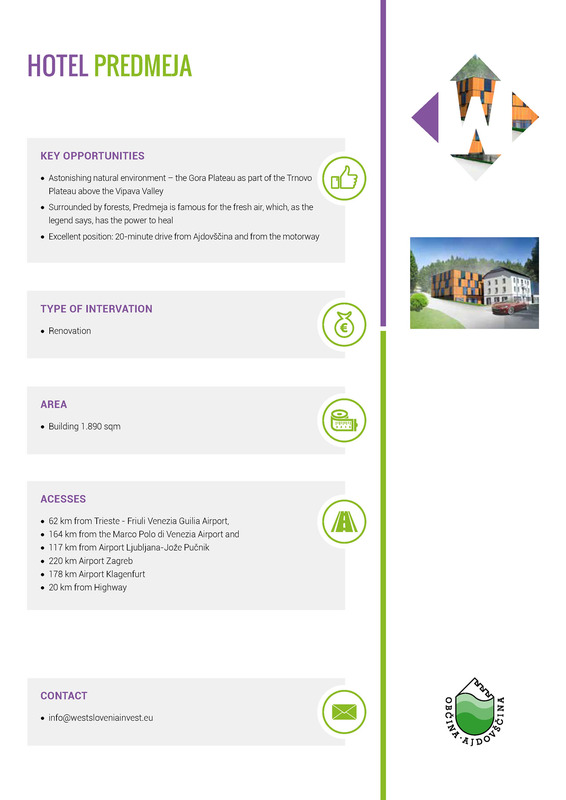 The location of the estate is very favourable. 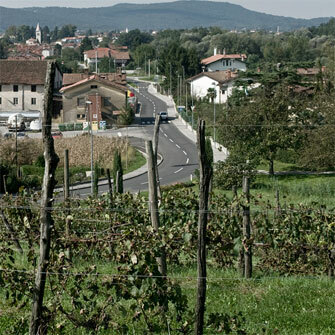 It lies 25km from Tieste – Friuli Venezia Guilia Airport, 133km from the Marco Polo di Venezia Airport and 125km from Airport Ljubljana-Jože Pučnik. 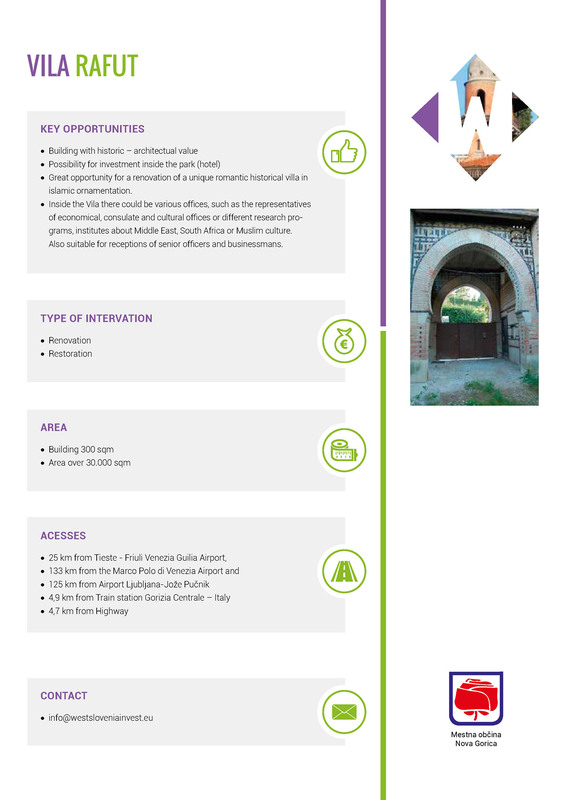 Park Rafut is a great opportunity for a renovation of a unique romantic historical villa in islamic ornamentation. 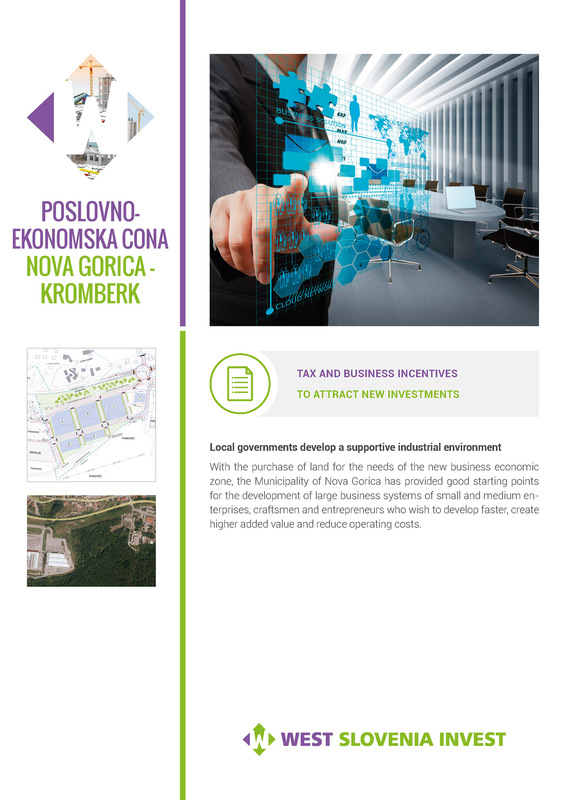 With the renovation of the park we can present a rich arboretum with rare trees that are unknown in Goriška region. The estate should be renovanted and shown to the world. Inside the Vila there could be various offices, such as the representatives of economical, consulate and cultural offices or different research programs, institutes about Middle East, South Africa or Muslim culture. The villa is also suitable to contain a small library and a reading room. Because of its exclusivity the villa is also suitable for receptions of senior officers and businessmans. 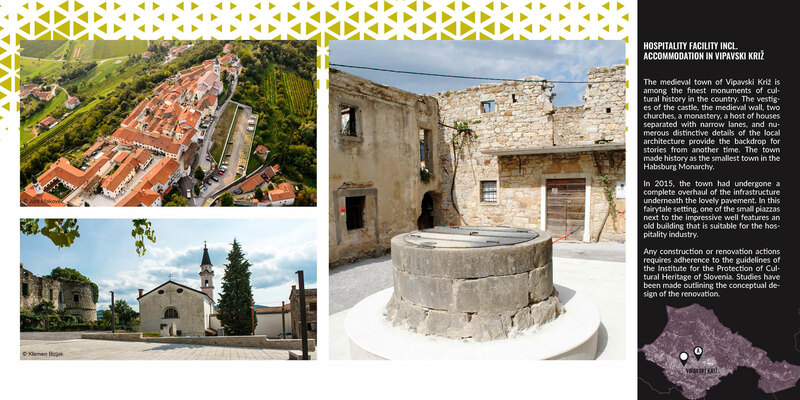 Nestled amidst a pristine rural surrounding with a rich natural heritage and captivating features, Predmeja is a settlement on the Gora Plateau that overlooks the Vipava Valley. 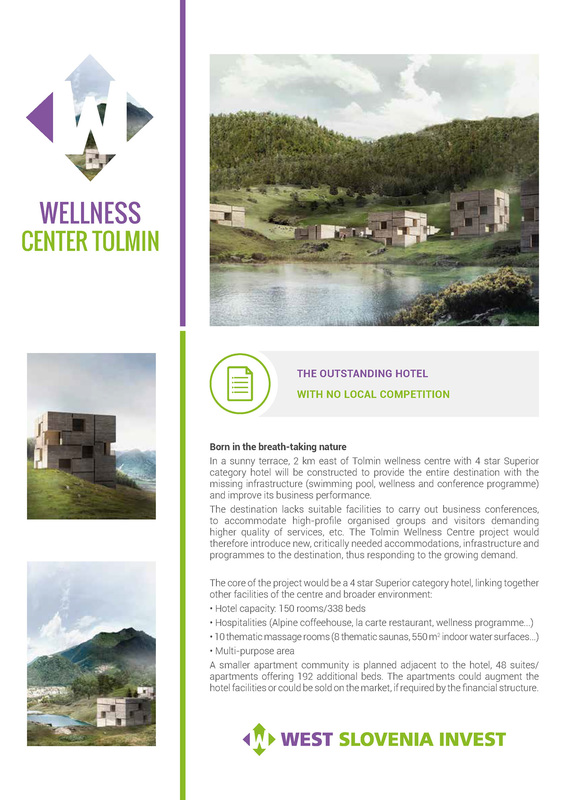 The venue offers endless possibilities for tourism – ecotourism, green tourism, day-trip tourism, sports tourism, wellness/spa tourism – in unadulterated air and next to clean spring water. The derelict hotel building set at this picturesque site at an altitude of 900 metres is a blank canvas for realising tourism-related ambitions. It is an ideal getaway for recharging one’s batteries and getting a break from the rapid pace of life and daily stress. 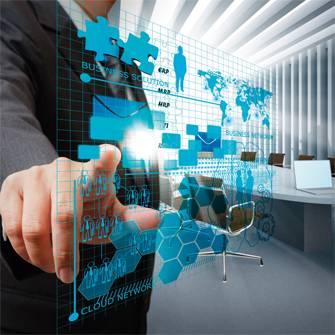 higher added value and reduce operating costs. 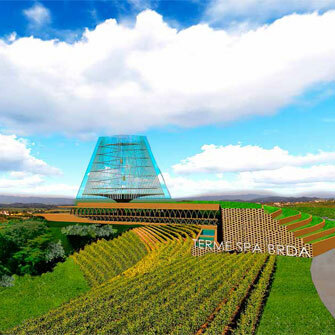 At the time of its establishment, Municipality of Brda put tourism as one of the strategic economic pillars. 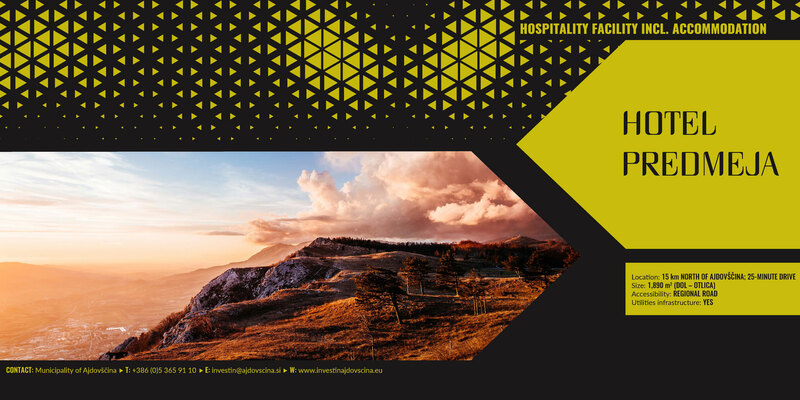 over the years, it has been supporting the development of products that would contribute to complementing the basic offer in the field of tourism. 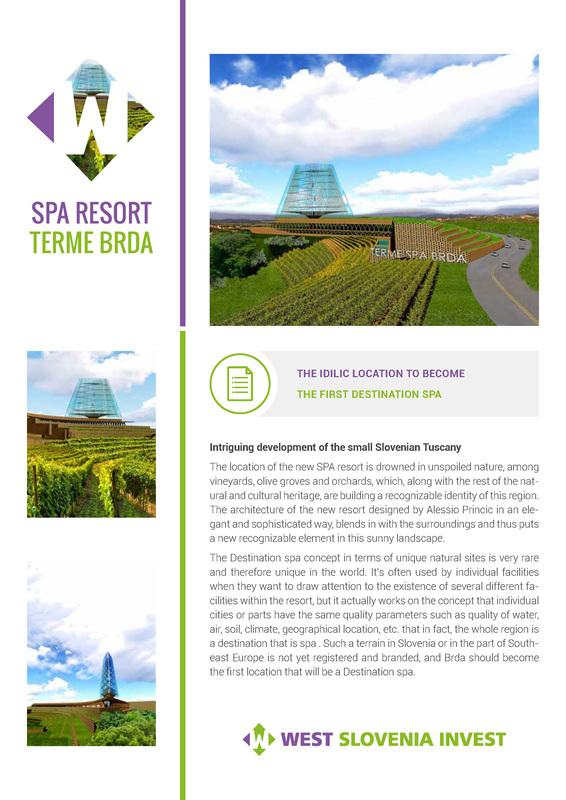 Municipality of Brda supports the development of SPA offer at its destination, which follows the natural de-velopment of the small slovenian Tuscany. 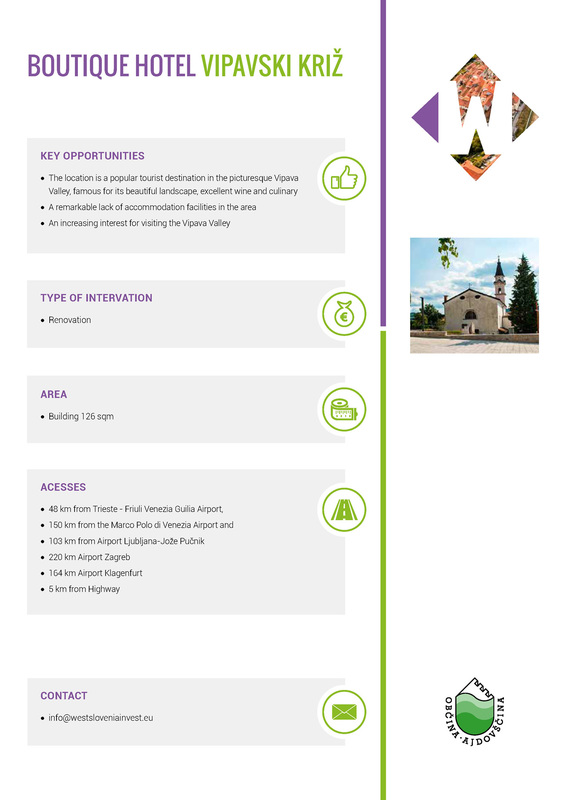 The municipality of Miren-Kostanjevica has a strategic position along the border of Italy. 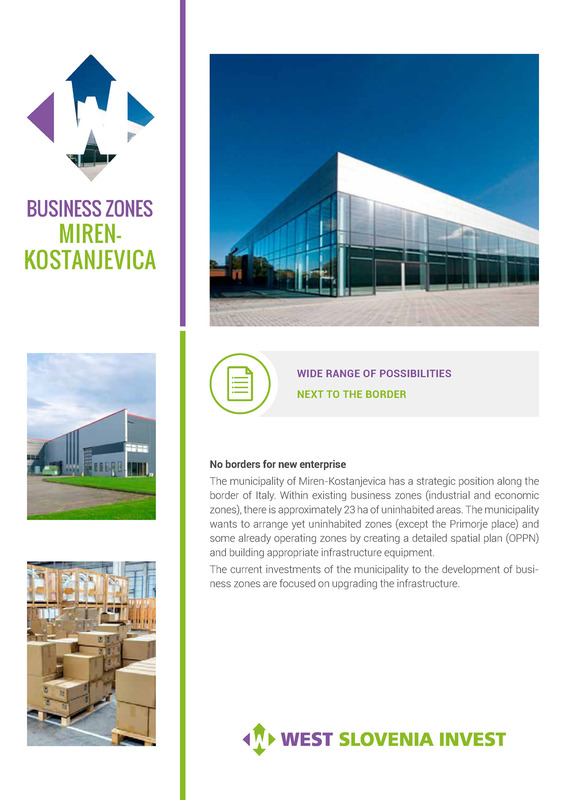 Within existing business zones (industrial and economic zones), there is approximately 23 ha of uninhabited areas. 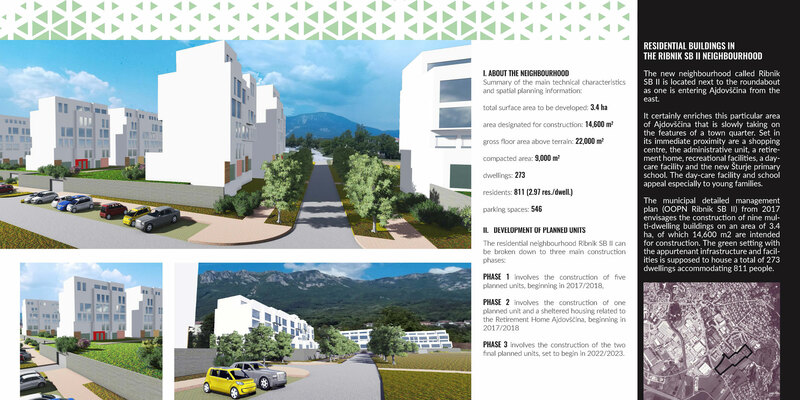 The municipality wants to arrange yet uninhabited zones (except the Primorje place) and some already operating zones by creating a detailed spatial plan (OPPN) and building appropriate infrastructure equipment. 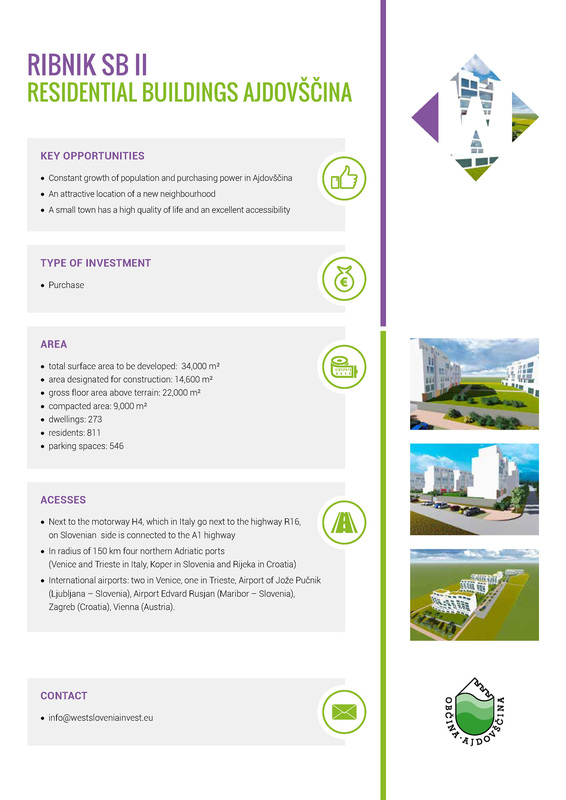 The current investments of the municipality to the development of busi¬ness zones are focused on upgrading the infrastructure.